Murray Plant, the Renfrewshire attachments specialist, is under new ownership. 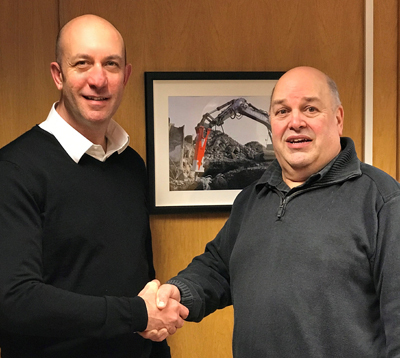 The company, a former World Dealer of the Year for Rammer breakers, has been acquired by Blue Group which supplies waste recycling systems and materials processing equipment. The new owner said additional sales personnel will be recruited but customers will see “very little change” in the short term. Bruce Murray, who founded the business in 1988, remains as managing director. He said the operation in Scotland would generally be unchanged with parts, sales and service still based at Linwood and Andy McLean continuing to be responsible for sales north of the border. Fergal O’Neill, also on the sales team, will continue in his role under the new regime. The Finland-built Rammer range includes attachments for the construction, demolition, scrap and recycling sectors. 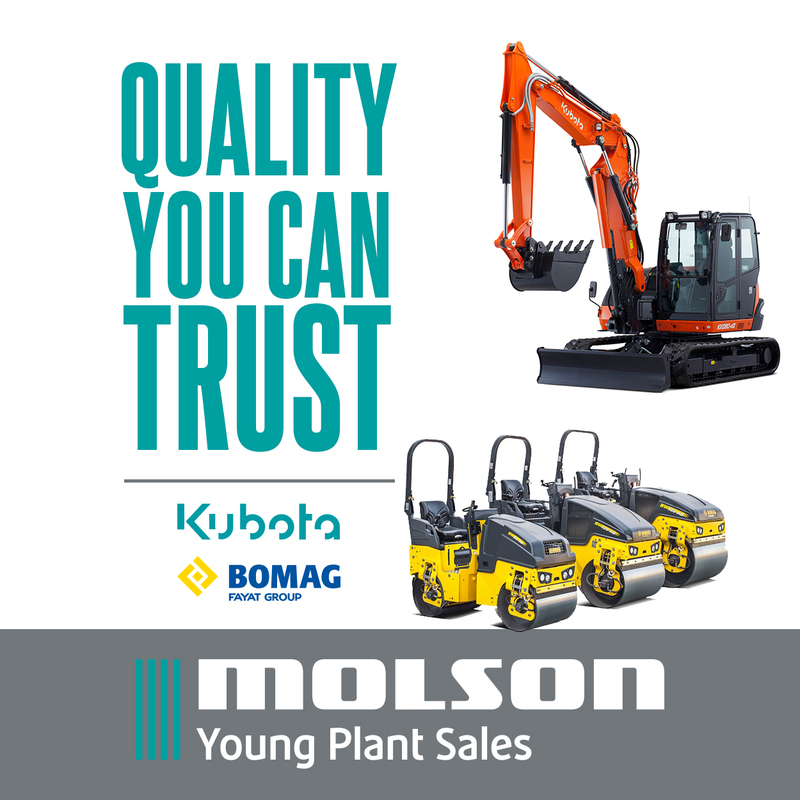 Murray is also a sales agent for Kenguru compactors and Allu processing buckets, also manufactured in Finland. Bruce Murray (right) and Adrian Murphy conclude the deal. Murray won the Rammer World Dealer of the Year title in 2016. 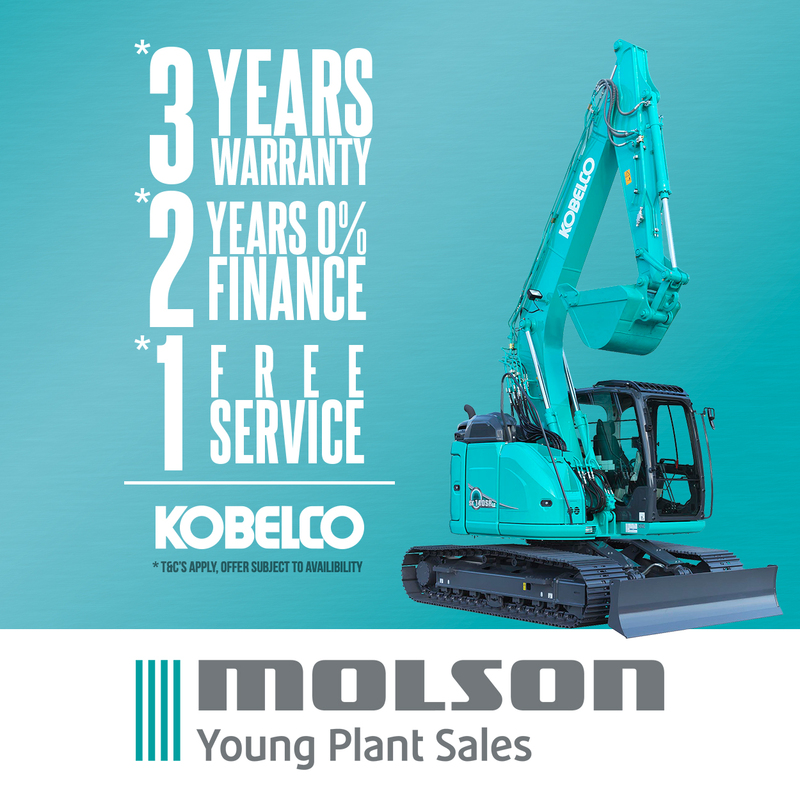 In the same year it extended its sales territory UK-wide with the acquisition of fellow dealer GB Plant Sales of Scunthorpe and sold its P&H Plant Ltd division and fleet of excavators, loading shovels and crushers to Glasgow hirer AB2000. Blue Machinery was involved in the attachments business from 2014 to 2016 as the UK dealer for excavator-mounted crusher and screening buckets made by Austrian manufacturer Hartl Engineering & Marketing GmbH. The franchise was then taken over by Lanarkshire business Yarwoods Excavator Attachments.